I was born in the 1950's. I have one younger brother. All my other siblings are older than I am. Our parents have passed over as well as most of our Aunts and Uncles. On my father's side we had only one Aunt left who was in her early 90s. To enlarge top photo click here. Aunt Betty was a lively lovely woman who always had a happy attitude that was positive and strong no matter how difficult her days were-. Betty would always be found standing strong with an attitude that was marveled at by those who knew her. Aunt Betty lived through enormous trauma that would have snapped most people but Betty was not everybody and Betty survived it all. We all loved Aunt Betty and were happy she lived a long life allowing her to be there for our family for over 90 years. Only at the very end of her life when Betty finally became ill did she slow down her otherwise busy active long life. During the end days of her life on earth Betty took time to say good bye to us all and even sent us each a piece of her jewelry or an item from her life handpicked by her, wrapped by her and sent to each of us with a note from her telling us to keep it as a part of her to remember her by. I received my small package of earrings and keep them in the top draw of my jewelry chest so she is always in part still with me. Betty was a special lady. One of my older sisters spent many hours talking to Aunt Betty during her last days of life. She asked Aunt Betty if she would do all she could to contact her after she passed over to give my sister and the rest of the family a positive affirmation that the soul which is the energy of life continued on after the human body dies . Apparently the conversations between them on this subject were intense and detailed. Since most of my family already believes in the continuation of the soul after death I was a bit surprised my sister needed this message request from Aunt Betty. Obviously she did and together they planned for Betty to reach out if she could after passing. My family has a history of visits from deceased loved ones so I figured my sister just wanted to try to add a requested visit to the list of relative's spirits making themselves known to the family. My Aunt Betty died and we all knew we would miss her. We also felt sad as she was the last of the living family members on my father's side. All we had now were our memories of the days when our family was young and our parents and Aunts and Uncles filled our holidays and family times. It was difficult for my siblings and I to face the fact that we were now the old people in the family. A few months after Aunt Betty passed over my sister was at home reading in her living room. She was sitting in a chair located in front of a large sunny window. Her husband and son were both at home at the time but not in the room with her. My sister told us that as she sat there she felt someone touch her on her shoulder and whisper clearly in her ear her name. The event frightened my sister so she jumped out of her chair knocking it over in her escape and started to yell for her family. When her husband and son came running in to the room they found my sister shaking and upset. She told them Aunt Betty had just tapped her on her shoulder and called her name in her ear. My sister was positive it was not her imagination as she requested Aunt Betty try to do just that type of thing a day or so before she died. Aunt Betty came through and my sister was beyond excited yet also frightened. My sister told us all that she was positive it was a visit from Betty as her name was said clearly in Betty's voice with Betty's accent. Aunt Betty was born in Ireland and she kept part of her brogue her entire lifetime. She had a way of saying all of our names that was unlike anyway anyone else said them. You knew at once when Betty was calling you due to the little twist she placed on each of our names. It was part of what made her special to us all. I was a bit confused why the event frightened my sister to the degree it did. She requested the visit from my Aunt and she knew other relatives had made their presence known to us in the past however this planned visit from Betty that she purposely set up with her before her death seemed to throw my sister for a loop. I think it was a lesson in being careful for what you wish for that seems to be continued to play out for us all. A few weeks after Betty tapping my sister on the shoulder and calling her name my sister informed me that she was still having problems with continued odd events happening in her house. She told me things were falling off of table tops for no reason. She also has little objects around the house with motion sensors in them that play a song or make a sound when someone walks by them that were being set off when no one was in the room where they were located. One day my sister sat at her kitchen table enjoying a cup of tea. Across from the table on a shelf on the wall stood a little wooden bird that would chirp when someone walked by it. The little bird started to chirp as my sister sat there alone in the room. She could see the sensor being tripped as the little bird sang its song yet no one else was in the room making it impossible for the sensor to be set off. This experience really upset and frightened my sister. It seemed Aunt Betty was really driving home the message that she was there and wanted my sister to recognize that fact. I did not have too much to say about the situation as I did not think it odd that my sister was getting the confirmation she requested. I just listened and thought Betty was giving it her all! Move ahead about a week to my house. I was home one afternoon working in my office along with my spouse and his brother. We were all on the first floor of my house. I was absorbed in whatever it was I was working on when I heard my name called loudly and clearly from the interior of my house. The odd thing was it sounded like a woman's voice. My husband and his brother heard it as well as I heard them both yell out “Hello- is someone here?” I thought someone came to visit and they were greeting them as they entered the house. Within seconds both my husband and his brother walked in to my office to see why I was yelling my own name? I told them it was not me and I heard it too. We searched the house and outside the house but did not find anyone around. That was the start of it. For weeks after we all would hear my name being called but now we could hear that accent and the odd way in which Betty would say my name. It would happen often in the late afternoon. We have a house full of musicians here and guitars and banjos are found everywhere. We would be sitting eating dinner and hear an instrument being strummed without anyone being near it. Things would also fall on the floor that should not be able to fall from desks where we worked or in the kitchen when we prepared meals. It was beginning to really annoy my family and frighten them as well. I then went back to work. We never heard any more from Aunt Betty in my house. My sister however continued to suffer from strange things and sounds in her house. I told her what I had done and told her to do the same thing. 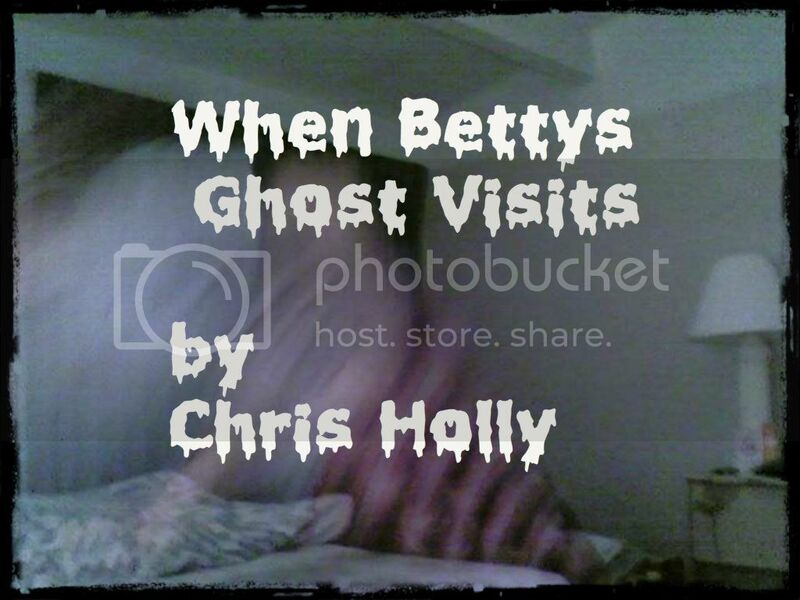 I told her to simply talk to Betty when she next visited and that she needed to also think clearly about what she wishes for in the future as this time she seemed to bite off more than she could handle with the persistence of Aunt Bettys visit's. My sister feels awkward asking my Aunt to leave when she was the one who insisted she visit but until she does I think Betty will continue to reach out. One of my brothers called the other day to check in and to tell me about the odd things going on at his house. I reminded him about my sister and her request and my experience. My brother now a bit annoyed wanted to hang up so he could call the sister who started it all. Just another day in the world of my big family and all its members both dead and alive! I guess it is true that we all must be careful what we wish for! why we need to be careful about the things we ask or wish for! CAN THE GRAND CARDINAL CROSS BE A STEP TO A NEW ERA?